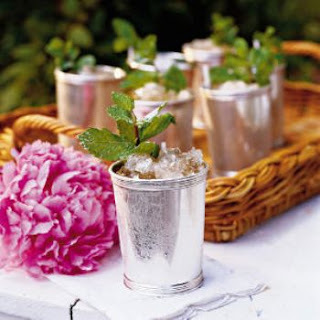 A set of julep cups is an entertaining essential, especially in the south. 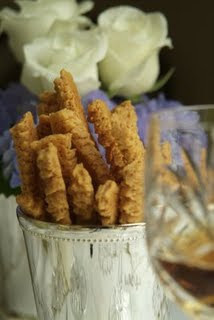 I love to use the cups in unexpected ways, for example as a container for cheese straws or maybe as a desk accessory acting as a pen holder. Sterling julep cups make the most beautiful vases, especially when using arrangements featuring peonies or hydrangeas. This entry was posted on 5:06 PM and is filed under Mint Julep Cups . You can follow any responses to this entry through the RSS 2.0 feed. You can leave a response, or trackback from your own site. Living in Kentucky, I especially enjoyed your feature on mint julep cups! We used some in our table decorations for our wedding, and I think they are just always so classic & festive! I miss "Dolfingers" - they had the prettiest mint julep cups! My Mom has a collection and mine is growing! I love them for holding art pencils too. Gorgeous Roses in the cup!! I use mine as a pen cup! Love these!